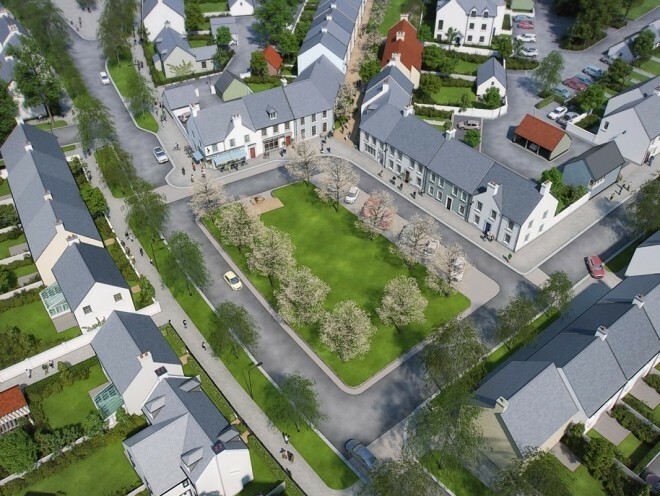 The architect behind the design for Aberdeenshire’s newest town has spoken of his delight at how little his vision has changed since the plan started life more than five years ago. World-leading architect Andres Duany was appointed in 2010 to oversee the design of the £1billion development at Chapelton of Elsick. And yesterday, the former Princeton and Yale graduate made a long-awaited visit to the site to see the progress which has been made for himself. The project was launched after Mr Duany and the Elsick Development Company – pioneered by the Duke of Fife and his family – joined forces to build a town which would enjoyed by generations “for years to come”. With a black scarf wrapped tightly round his neck and wellies on his feet, Mr Duany – founder of Miami based Duany Plater-Zyberk and Company – said he had been expecting his design to have changed as the project progressed. “This vision was one that was based on traditional towns from the local area so we studied the towns in Scotland, guided to the most popular ones,” he said. “I feel this build has turned out to be a very Scottish project that couldn’t be built anywhere else, and it’s not like anything we have done before. “Returning to the development, it is remarkably similar to what we originally designed – I had expected changes. There are slight small differences, but very, very few. “I had also expected changes to be requested during the planning process as this was unbelievably long and required much patience, but we got there eventually. He said it was “satisfying” to see homeowners getting what they signed up for. “It’s about community, it’s picking a traditional town lifestyle which has been the unique selling point of this development from the start,” he said. The Duke of Fife said the major development has, so far, been everything he hoped for. “Whilst we obviously get real pleasure out of the development of the buildings, there is a far greater pleasure in seeing people actually living here,” he said.